Cullene Bryant (June 4, 1941 - April 23, 2017) was a retired minister in the United Church of Canada and grandmother of five children, living in Vancouver. 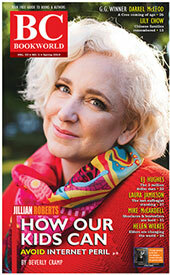 Her two collections of short fiction are Llamas In The Snow (1993) and In the Dry Woods (Edmonton: The Books Collective 2005). The title story of the latter collection, "In The Dry Woods," was awarded the 2006 national Canadian Christian Writing Award. Her stories aired on CBC radio and appeared in various literary journals, among them Room of One's Own; Fiddlehead; Descant and The Iowa Review. 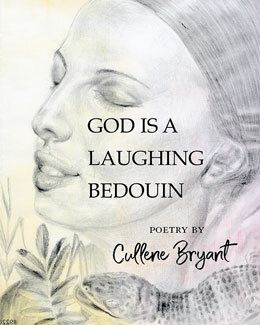 God is a Laughing Bedouin, Cullene's first poetry collection, was published by Inanna Publications in April, 2017. According to publicity materials, "Many of the poems have a spiritual tone, inspired by the poet's experience of forty days of silence in the gracious company of the Jesuits at Loyola House in Guelph, Ontario. Biblical characters as portrayed as flawed and part of the human condition, illuminating the universal emotions that are explored in the poems."